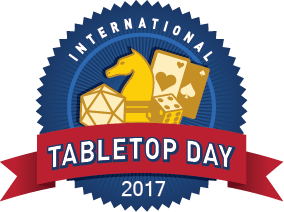 This Saturday is International TableTop Day! In addition to having supported some cool retail events around the country, the Atlas Games staff will be out in force at our own friendly local game store, Source Comics and Games in Roseville, Minnesota. Come by and play some old favorites, or even a few titles you can't try anywhere else because they're still at press or in the final stages of development. We hope to see you there, Twin Cities locals!